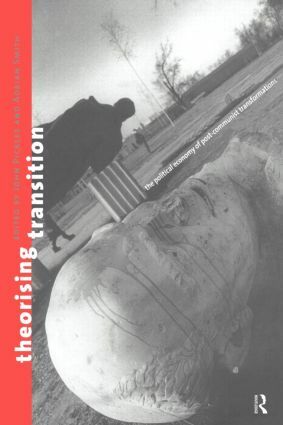 Theorizing Transition provides a comprehensive examination of the development of the economic, political, social and cultural transformations in post-Communist Europe and offers an important critique of transition theory and policy. The authors create the basis of a theoretical understanding of transition in terms of a political economy of capitalist development. The diversity of forms and complexities of transition are examined through a wide range of examples from post-Soviet countries and comparative studies from countries such as Vietnam and China. Theorizing Transition challenges many of the comfortable assumptions unleashed by the euphoria of democratisation and the triumphalism of market capitalism in the first flush of 'post-Glasnost' openess, showing transition to be much more complex than mainstream theory suggests.